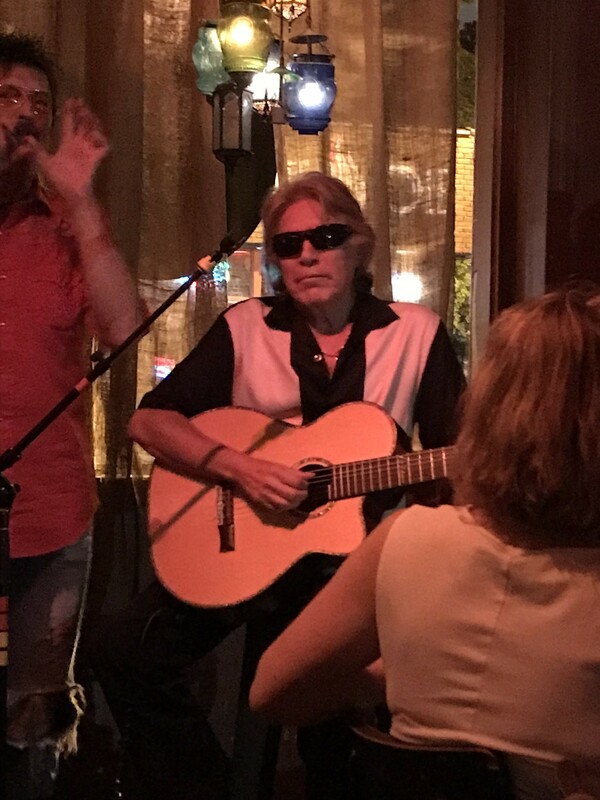 Jose Feliciano played Memphis Friday night — at the tiny Bar DKDC in Cooper-Young. You didn't hear about it? That's because it was about as undercover a gig as could be imagined. As Feliciano told a jammed house who'd either stumbled into the place or heard about the gig on social media in the prior couple of hours: He was in town for some Elvis Week activities and decided he wanted to play somewhere in Memphis. He told his friend, Memphis musician Greg Roberson, of his wishes, and Roberson called Karen Carrier, owner of Bar DKDC, to see if something could be worked out. A couple of local bands had to be bumped to a little later time-slot, but the good news is that now they can say Jose Feliciano opened for them. Feliciano was relaxed and genial — engaging with the crowd and playing covers by Ray Charles, Elvis, Bill Withers, and many others, including his seminal version of "Light My Fire" by the Doors. After about an hour of music and stories, the 73-year-old legend decreed that his left hand was tired and he was going to call it a night. The dozens of fans packed into Bar DKDC called it a hell of a night. And no, he didn't play "Feliz Navidad."